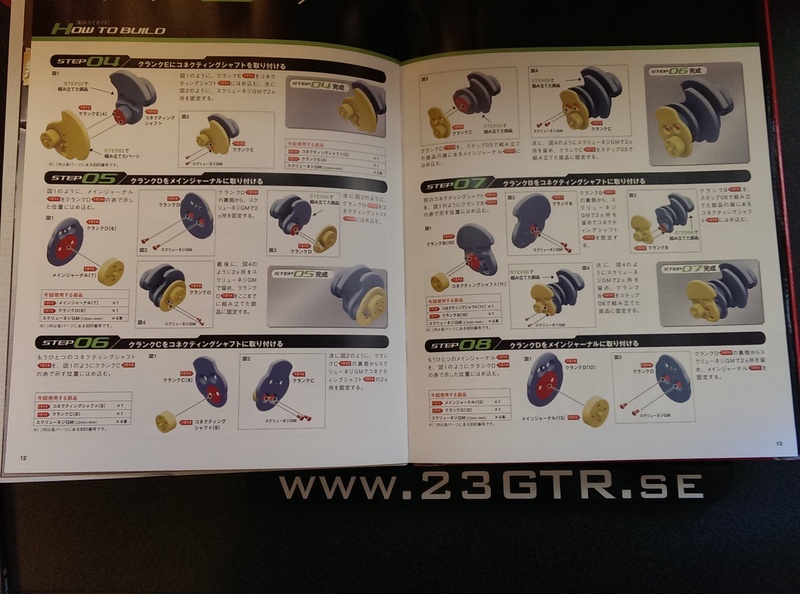 This is something very special and at the same time also very Japanese. 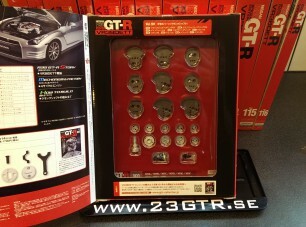 It shows the passion for the GT-R in Japan, that they even come up with the idea to produce something like this. 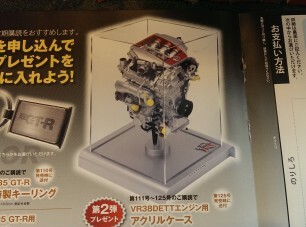 It´s a miniature model of the GT-R engine, the VR38. 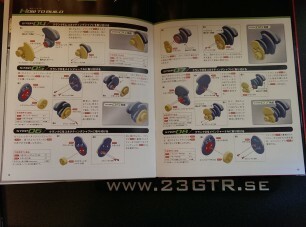 It comes as a kit which you assemble bit by bit. 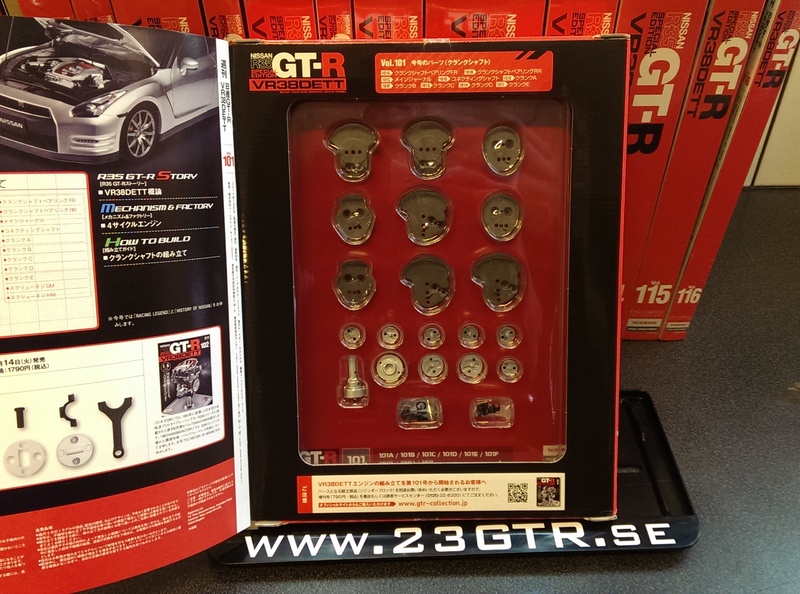 You get each package when you buy the magazine and the packages you see below are 1-16 of 30. The production runs until August this year. 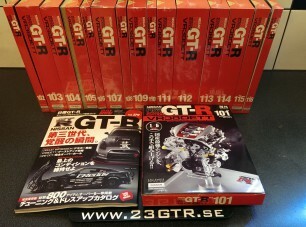 The model itself can not be bought, you need to buy the magazines to get the packages and build the model. The engine can be turned and the left side of it is cut up so you can see the pistons, cams and other parts moving when you turn it. 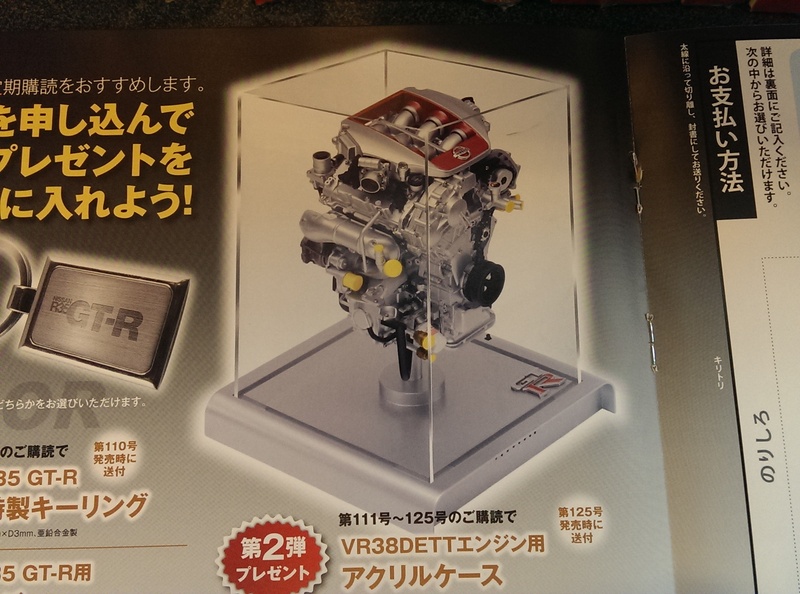 Also, the stand for the engine has a button you can push that starts playing the engine sound. As far as we know, this is the only model in Europe. 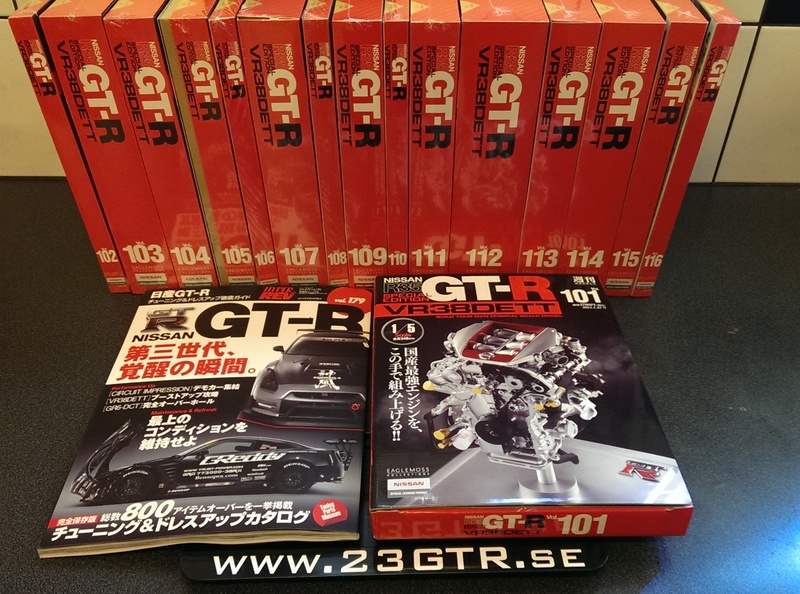 If you´re interested in a VR38 model of your own, get in touch and we´ll arrange it for you.